Manufacturing and insurance issues have made it hard for many members of our community to fill their prescriptions for epinephrine auto-injectors in recent months. But the drug epinephrine itself is not in short supply. This has become a serious concern for people with life-threatening allergies. When people who manage life-threatening allergies are in fear for their lives because they can't get the medicine they need, our system is broken. 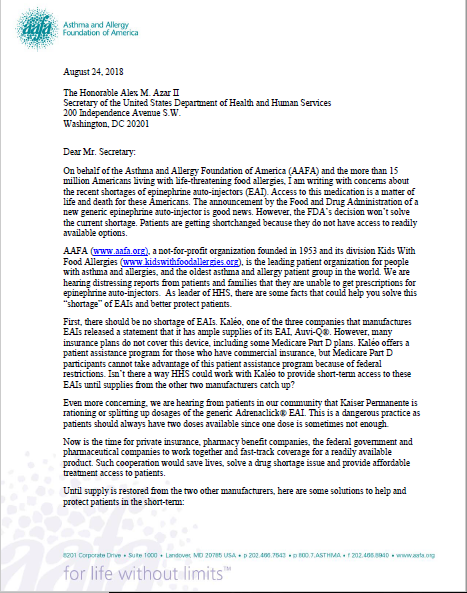 The Asthma and Allergy Foundation of America (AAFA) sent a letter to the Department of Health and Human Services (HHS) to ask them to fix this system. Senator Richard Blumenthal (D-CT) also sent a letter to HHS on Aug. 27, 2018, also requesting action. You too can contact HHS about this issue. We ask you to sign the letter below so we can show HHS the impact of this issue. 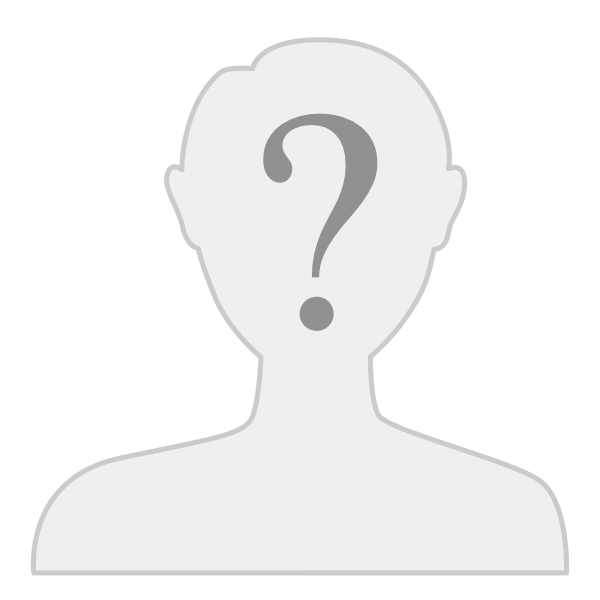 Our tool below makes it easy for you to send as an email message – and you can personalize by adding your story. I am writing to share my concerns about epinephrine auto-injector shortages. My family is impacted by food allergies, which can lead to a life-threatening allergic reaction that requires immediate treatment with epinephrine. I am one of the many who have experienced potentially life-threatening fallout from the auto-injector shortages. At least one insurance company has started rationing the prescriptions and only giving one dose instead of the prescribed two doses. I fear this type of practice will continue and spread. Please keep in mind the patient and caregiver perspective when dealing with anaphylaxis. It is important that people with food allergies have access to two doses of epinephrine at all times. If you have a child in school, you need to provide the school with two doses. You also need two doses for home and other locations. Recently, the FDA took two actions but these actions may not be enough to help families like mine. The recent approval of a new generic epinephrine auto-injector won’t solve the current shortage since the manufacturer has not begun to supply this new generic version. The FDA provided for the extension of expiration dates on the EpiPen® 0.3mg dose but this does not help children who use the 0.15mg dose. Schools may be reluctant to accept expired medicines as well, so this is putting families in a very stressful situation. There are only three options for epinephrine auto-injectors in the U.S. and at this time, there are roadblocks to access all three. Two of them have manufacturing shortages. The other option doesn’t have a shortage, but most insurance companies do not cover it and it is only available via a direct delivery system – meaning, my family can’t just go to the pharmacy and get this life-saving medicine today. I respectfully request that the Department of Human and Health Services look at this shortage issue immediately. 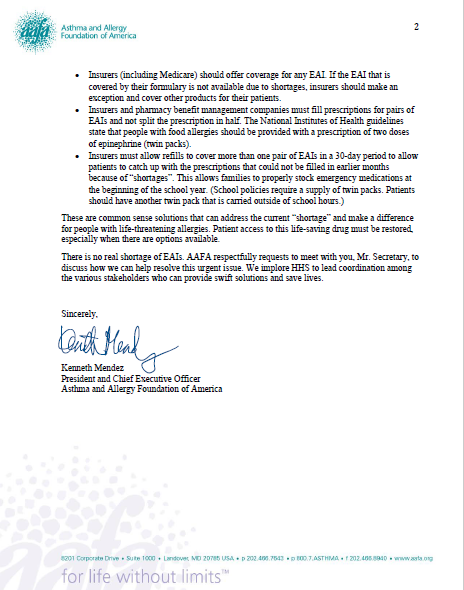 I am aware of the Asthma and Allergy Foundation of America’s outreach to your office and I encourage you to work with them and other stakeholders to come up with immediate solutions to open up access to epinephrine auto-injectors. AAFA is dedicated to improving the quality of life for people with asthma and allergic diseases through support, education, advocacy and research. We work to raise awareness and impact policy changes to help improve and save lives. To support our work, please consider giving a donation. @Noemi, have you been able to get another epi-pen?